There was no queue when I was there for Lor Mee. 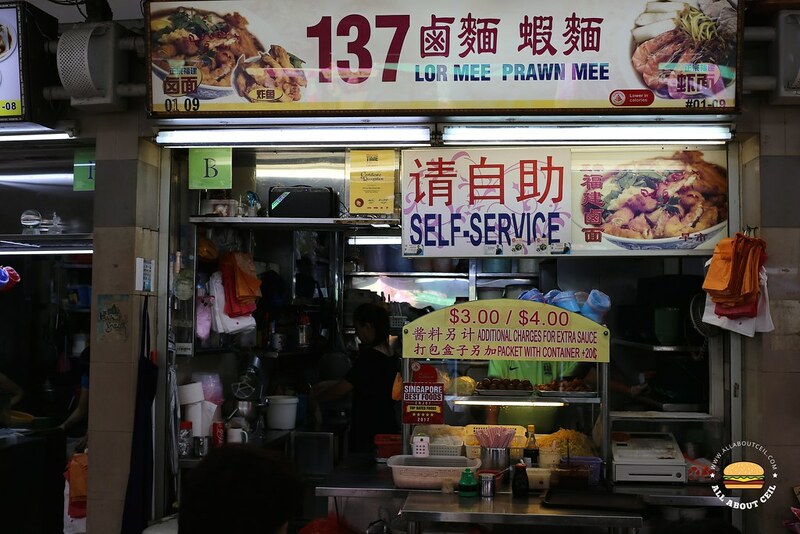 Apparently, they serve only Lor Mee though it is indicated on their signboard that they do serve Prawn Mee as well. I have to decide between the $3 and the $4 portion. When it was my turn to order, I said, "I want it with extra fried fish nuggets." The Uncle looked up while cooking and said, "Then, it is the $4 one." 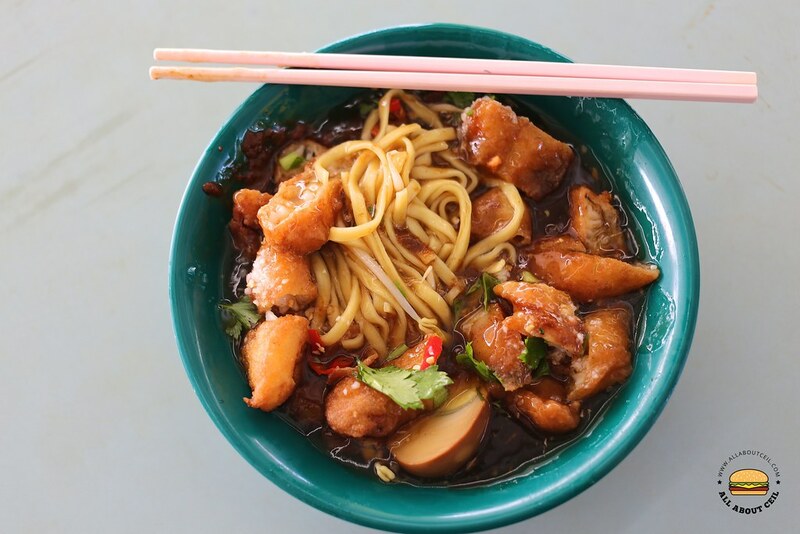 It consists of a good portion of the flat yellow noodles with ingredients like braised pork belly, ngor hiang, fish cake and half of a braised egg with fried fish nuggets, garnished with chopped coriander, garlic paste, and red cut chili. To start, give it a good mix. The braised sauce was not as sticky as I liked it to be, it was much lighter though still quite flavorful. 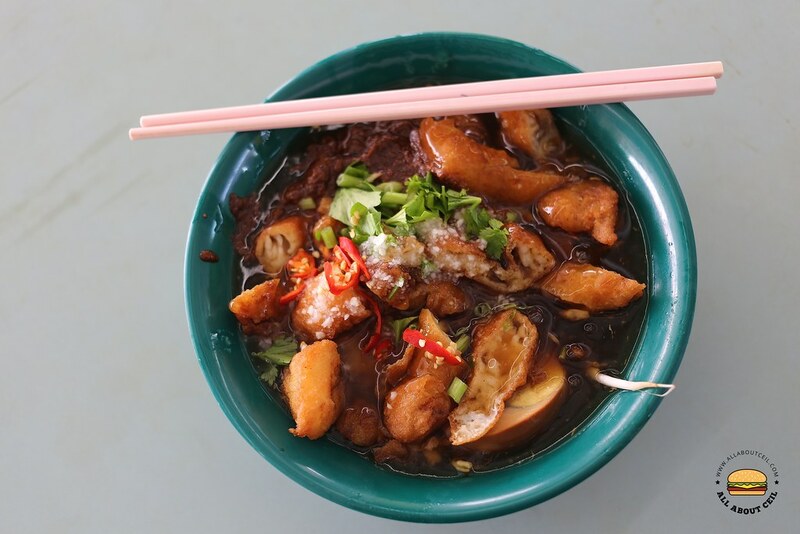 The fried fish nuggets still retained its crispiness and did not turn soggy even after soaked in the sauce. Though this is not amongst the best Lor Mee that I had eaten but it is quite satisfying, a definitely must-try if you happen to be in this food centre for lunch.